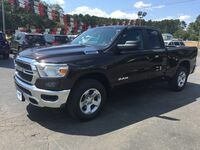 When it finally comes time to replace your current truck you want to find something that is better than what you currently have in every aspect. You need a powerful engine that is also fuel efficient and a cabin that is loaded with all of the latest technology features is also a must. 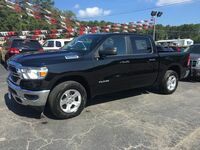 Both the 2019 Ram 1500 and the 2019 Ford F-150 offer multiple engine options and trim level choices that make it easy to find a truck that fits your needs and budget. 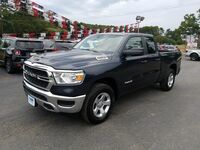 Take a look at the similarities and differences in standard and available engine options and interior features of the 2019 Ram 1500 and the 2019 Ford F-150 below in our side-by-side comparison. 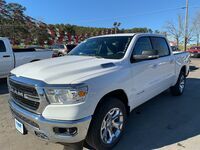 What are the Differences Between the 2019 Ram 1500 & the 2019 Ford F-150? Both the 2019 Ram 1500 and the 2019 Ford F-150 offer engine upgrades from their standard engines highlighted above. 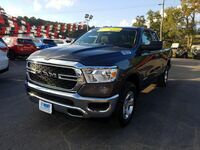 The Ram 1500 makes available a 5.7L HEMI® V8 and a 5.7L HEMI® V8 with eTorque® while the Ford F-150 offers a 2.7L, 3.5L, and a 3.5L H.O. EcoBoost® engine, a 5.0L V8, and a 3.0L PowerStroke® diesel. 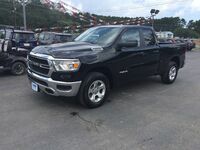 The 2019 Ram 1500 equipped with the 5.7L HEMI® V8 w/ eTorque® can tow 12,750 pounds and the 2019 Ford F-150 has a maximum towing capacity of 12,100 pounds with its 3.5L EcoBoost® engine. Large color touchscreens come standard inside the Ram 1500 and the Ford F-150 but the Ram 1500 gets a 5” standard screen while the F-150 only gets a 4.2”. 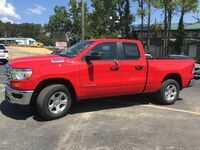 The Ram 1500 also makes available a split-screen capable 12” color touchscreen display while the largest display screen that the 2019 Ford F-150 gets is only 8”. Apple CarPlay™ & Android Auto™ is an option for the 2019 Ram 1500 and the 2019 Ford F-150 and they can sync with your smartphone to keep navigation, traffic, weather, and even your favorite playlist right at your fingertips. 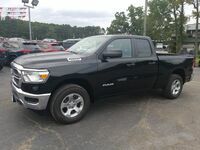 With an engine that offers the most towing capability along with better interior technology features the 2019 Ram 1500 is the choice over the Ford F-150. 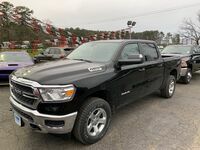 You can take the 2019 Ram 1500 for a test drive at Cowboy Ram in Clinton, AR today.